Enjoy a hassle-free car-buying experience and get the professional auto repairs your vehicle needs by coming down to Lithia Toyota of Abilene. You'll receive award-winning customer service at our Abilene Toyota dealer, as you'll be able to work closely with our staff so that we can learn how to best serve you. Whether you're interested in financing a new Toyota or you have a routine service appointment scheduled, you'll get the first-class experience you deserve each and every time you visit! Call us to (325) 603-4229. Explore the new Toyota model lineup at Lithia Toyota of Abilene and you'll have no problem finding your dream car. Schedule a test-drive to experience the new Toyota RAV4 SUV, or get the keys to a brand-new Toyota Highlander. The new Toyota Corolla and Camry sedans are ideal for everyday commuters, while top picks like a new Toyota Prius, Toyota Sienna and Toyota Tundra are also for sale at our dealership. We also have an impressive collection of used Toyota vehicles and pre-owned vehicles from other brands so that you can find the right fit for your budget. Talk with our Toyota finance team today and buy or lease a new Toyota at a competitive price. Schedule a Toyota service appointment at the Lithia Toyota of Abilene service center to get the high-quality maintenance and repairs your car needs. From quick oil changes and multi-point inspections to major car repairs, our Toyota service experts can handle anything your vehicle demands. View our Toyota service specials to save big, and buy genuine new Toyota parts and accessories from us to get the authentic auto parts you've been searching for. When you're ready to enjoy a new type of dealership experience, come visit us at 4449 Southwest Dr. in Abilene, TX. We're just a short trip away from Dyess Air Force Base, Sweetwater, Snyder and the rest of West Texas. We look forward to working with you soon! 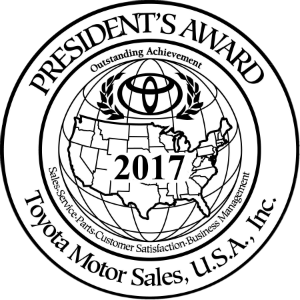 We've won the Toyota President's Award 11 years in a row, meaning that we excel in all aspects of Toyota sales, service, parts and financing. You can use our complimentary Wi-Fi and enjoy some free coffee while you wait for service or to speak with a Toyota sales specialist. Secure a dynamic, competitively priced vehicle that offers a Bird's Eye View Camera and navigation features, secure a rugged Toyota RAV4 today! 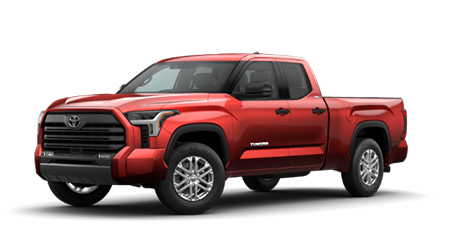 From its available 10,200 pound towing capacity to the Toyota Safety Sense System that comes standard, the Toyota Tundra is a powerful truck that delivers! The desired Toyota Camry leaves drivers wanting for nothing, what with its eye-catching design and driver-assistive safety features. 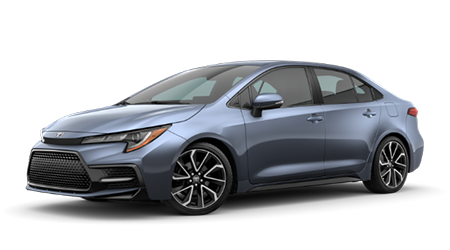 With seven driver-centric trim models to choose from, finding the Toyota Corolla that will bring your on-road adventures to the next level is a breeze. Lithia Toyota of Abilene maintains a fresh inventory of innovative new Toyota models for drivers in the Abilene, Texas area to explore, including nimble Toyota Prius options and powerful Tacoma trucks! 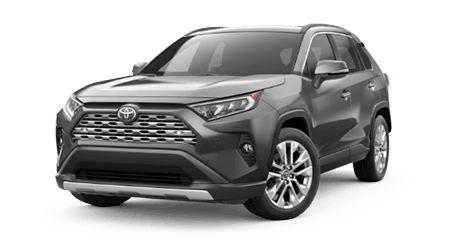 We're also well-versed on the benefits of ToyotaCare, the complementary plan that comes included with all new Toyota purchases, so don't hesitate to make your way over from Sweetwater, TX to speak with our professional sales team today. From payment calculators to information on buying versus leasing and auto loan options for drivers of all credit scores, let our Toyota dealership get you a finance plan that fits your lifestyle. Enjoy the inherent joy of buying a new or used car without anything getting in the way, send in a no obligation credit application today! We work with a variety of credit lenders and will be in touch as soon as we have viable packages to review. Lithia Toyota of Abilene is here to ensure that drivers with mechanical knowledge can acquire the genuine parts and accessories they're looking for. Allow our team to help provide your vehicle with the quality components it needs to run smoothly, head to our Abilene, TX location today! If you're not in the immediate area but would still like to take advantage of our OEM inventory, place a Toyota part order online now! 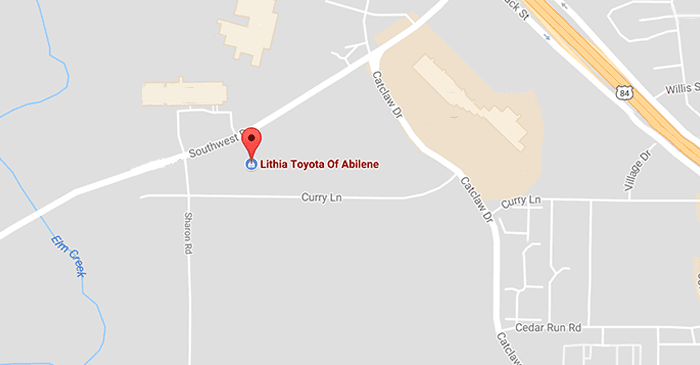 At Lithia Toyota Of Abilene, you're not obligated to commit to new-car prices! We have carefully handpicked a truly reliable, like-new collection of used cars for sale near Brownwood, TX, including Toyota Certified Pre-Owned vehicles! Talk to us about how you can value your trade-in and upgrade to one of our rigorously inspected cars. We stand behind all the used options we sell, so get your search started right here on our website! To ensure optimum reliability and satisfaction over the course of what we hope is a lasting relationship, we vow to perform every routine Toyota car service and repair with the utmost care. Our service department employs friendly, factory trained technicians who are well-versed in Toyota technology and only use original equipment manufacturer items to complete all maintenance and repair requests. Check out our service specials before using our website to schedule a Toyota service today! 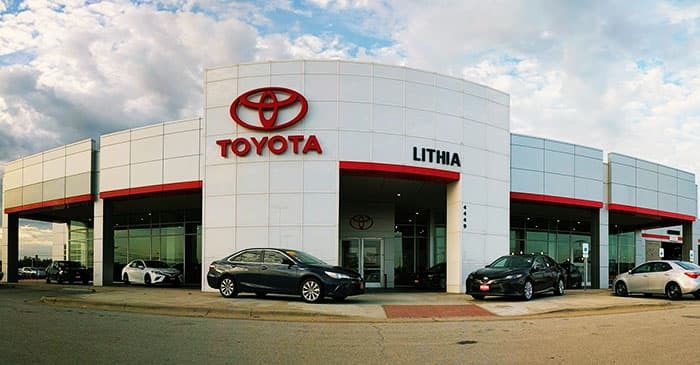 Lithia Toyota Of Abilene encourages you to browse our site to learn more about our new and used Toyota vehicles, parts and service. Conveniently located just 2 miles from the Mall of Abilene, and 3 miles from the McMurry University campus, we invite you over for a test drive once you've learned about all our Toyota dealership in Abilene, TX has to offer! From new Toyota Highlander purchases to rental cars and Toyota lease offers, our new and used dealership near Brownwood is here for you!